After you’ve recently had your teeth whitened, it’s natural to want to keep them sparkling. While some staining is an unavoidable part of life, if you watch what you eat, you can help keep your teeth whiter for longer. Here’s a look at five foods to avoid after teeth whitening—by reducing or eliminating these from your diet you can minimize stains and promote a bright, healthy smile. Candy is high in sugar, which can raise the acidity levels in your mouth and cause damage to your enamel. Since enamel is responsible for protecting your teeth and giving them their white sheen, you can see why this might be a problem. In addition, candy is normally sticky, and it can be hard to brush away this extra sugar, which means that the high acidity levels can persist even after you’re done eating. 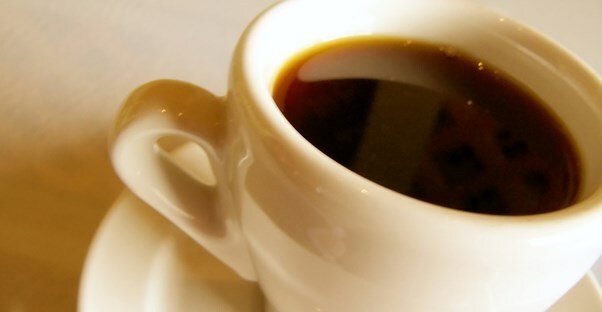 If you can’t imagine a life without coffee, don’t fear—you don’t necessarily have to give it up completely. However, reducing your intake to the bare minimum would be a good idea. Coffee is one of the biggest offenders when it comes to teeth stains because of its dark color and slight acidity, which can slowly wear away your enamel. A daily cup probably won’t do major damage to your newly whitened teeth, but if you’re particularly worried, it’s best to avoid it altogether. Refined starches, like those found in white rice, bread, and pasta are another group of foods that can raise the acidity levels in your mouth and cause enamel damage. However, naturally-occurring starches, like those found in fresh vegetables shouldn’t pose any issues for people with whitened teeth. Pasta sauce can cause problems for whitened teeth on two fronts. For one, its bright red color has the potential for stains. Secondly, most sauces are full of extra refined sugar, which will raise acidity levels in your mouth. For a teeth-friendly pasta sauce, make your own from scratch with less sugar. Ice cream doesn’t necessarily stain your teeth, but this frozen treat can be a real pain. After you have your teeth whitened you may experience some sensitivity, and while it’s typically mild and temporary, super-cold foods can make the situation worse. Ice cream isn’t something you’ll have to say goodbye to forever, though—the heightened tooth sensitivity normally dissipates after a few days.